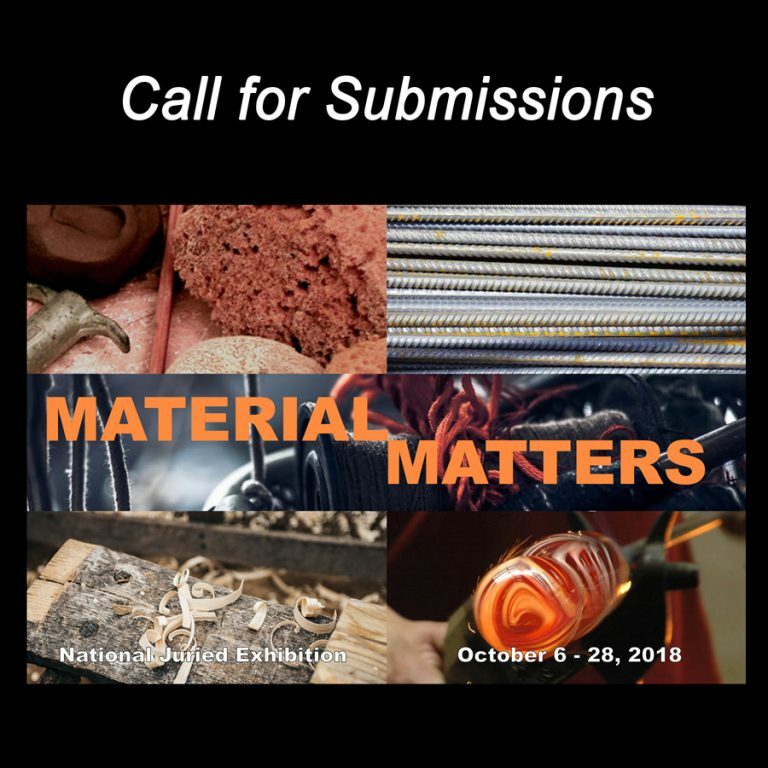 The Arts Commission announces a call for artists working in glass, glass related materials, or materials referencing glass. Submit work for a the Momentum juried competition, taking place in downtown Toledo, Ohio. With a deep background in commercial production and the birthplace of the studio glass movement, Toledo has served as a nexus between art, industry, and innovation through its historical connection to the material of glass. Momentum seeks work that celebrates this unique narrative and evolves from it. The competition is presented by The Arts Commission of Greater Toledo in conjunction with the Toledo Symphony Orchestra, ProMedica Health System, and Toledo’s philanthropic community. It is part of Momentum, a three-day festival of music and art in the city’s downtown with a focus on the revitalizing waterfront. The goal of the event is to celebrate Toledo’s rich artistic history, its promising and evolving forward trajectory, and to draw thousands to the city. The Momentum juried competition gathers original creations in glass from the Toledo area and the nation. It will take place September 8 – October 14, 2017, with an opening reception. Up to $10,000 in prizes will be awarded on September 16, 2017. The jurors are Michael Killoren, CEO of Morean Arts Center; Jennifer-Navva Milliken, New York based independent curator and writer; and Raul Paredes, Director of New Product Development and Design at Owens-Illinois. Experimental or interdisciplinary works using glass as a material in the spirit of the innovative technological developments in Toledo’s glass industry. Artworks utilizing glass that connects to industrial glass processes or utilizes industrially produced glass materials. Artworks informed by one’s personal affiliation or history with the Toledo area. In keeping with The Arts Commission’s mission to support artists, those who participate are eligible for prizes up to $10,000. Since 1959, The Arts Commission has provided quality arts programming and services to the metropolitan Toledo area. The Arts Commission is the longest-standing arts commission in the state of Ohio. Since 1977, The Arts Commission has managed the City of Toledo’s 1% for Art ordinance. The ordinance is first public art program of its kind in Ohio and the inspiration for the state’s own program. The Arts Commission works to build a creative and cultural community in Toledo, inspire vibrancy in our neighborhoods, and to celebrate life through art. The Arts Commission supports, promotes, and connects visual, performing, and literary artists, as well as arts organizations and businesses. Through innovative programming, public art, artist services, inclusive youth programs, and community events, they aim to inspire a vibrant community in Toledo. For more information, contact cphelps@theartscommission.org. The New York Center for Photographic Art (NYC4PA) announces a call for artists for Glass 2017. We work on shattering the glass ceiling. The ice is as smooth as glass. What is so magical about this substance, made from sand, that it comes up in so many proverbs and sayings? It is magical – the invention of glass allowed us, for the first time, to be able to observe things while having a barrier to keep us warm, safe, and dry. We can store liquids safely and know how much is left in the bottle. Glass is not only a practical solution to so many situations, but also the foundation for an entire area of art. Think of Dale Chihuly. Whether you create wonderful images about drinking glasses, eye glasses, wavy window panes, or glass beads, Murano glass, or beach glass, it all works. Chosen artists for Glass 2017 will have a live exhibition in a New York City gallery, Jadite Gallery, in October, 2017. There will be an exhibition catalog and an online gallery on the NYC4PA website. Juror, Traer Scott, has juried shows for NYC4PA previously and is an excellent juror. New York Center for Photographic Art is an organization which encourages all photographers of all ages and all experience. The gallery in New York City is a storefront gallery open five days a week. Their mission is to provide exhibition opportunities in the vibrant New York City gallery world to photographers around the globe. NYC4PA offers international, themed, open call competitions juried by recognized experts in the field of photography. Prizes include cash awards, online gallery, catalog, and New York City gallery exhibits. NYC4PA is proud to advance the art of photography. Glass Wheel Studio announces a call for artists for the Slide Show Juried Exhibition. Interested artists will be mailed 36, randomly selected, 2 x 2 slides from a 10,000 slide collection covering the entire history of Western art. Artwork will be juried by a small panel of museum, gallery, and educational program directors into The Slide Show exhibition to be held at Glass Wheel Studio in Norfolk, VA and on view January 21-February 26, 2017. Artists will be selected on the basis of originality, understanding of the particular nature and history of the 2 x 2 slide, and on technical feasibility. Artists working in glass are particularly encouraged to apply. Glass Wheel Studio is a contemporary art facility located in the heart of The NEON, Norfolk’s Arts District. The recently renovated 8,500-square-foot space features two rotating galleries and affordable artist studios. Through stimulating exhibitions and an active Studio Artist Program, Glass Wheel Studio cultivates a deep appreciation for contemporary art in glass and beyond. It serves as an incubator for extraordinary ideas and aims to encourage artists across all disciplines to pursue and elevate their craft. Glass Wheel is free and open to the public. For more information, contact alyssa@glasswheelstudio.com. Take part in Pacific Art League’s Holiday Art Market. To apply, submit a digital portfolio of 5-8 works priced between $25 and $1000. All fine art media including ceramics and glass are encouraged to apply. Artists who are selected will display all of the works submitted in their digital portfolio, and may be asked to bring in additional work as pieces sell. Pacific Art League will be open on select weekends and extended holiday hours. Open to all media except video and installation. Juror: Marianne McGrath, Curator, NUMU Los Gatos. Marianne McGrath is Curator of Art at New Museum Los Gatos (NUMU). Her passion for art and art education motivates her work as a curator, teacher and art historian. Prior to her position at NUMU, she served as Education Curator and Associate Art Curator at The Museums of Los Gatos. Her professional experience includes work as an independent curator, art historian, teacher and designer. Ms. McGrath has a Bachelor’s Degree in Art and holds a Master of Arts in Art History from SJSU. Dedicated to sustaining the great tradition of promoting art, training emerging artists and enriching lives in the San Francisco Peninsula since 1921, the Pacific Art League currently enrolls over 2,100 students of all ages, backgrounds and skill levels in classes taught by a faculty of 60 experienced artists at its downtown Palo Alto location. The gallery showcases monthly juried exhibits as well as other selected work by local artists. The League also offers summer art camps for youth and regular special events for art lovers as part of the growing vibrant art scene in the area. For more information, contact anna@pacificartleague.org. Elisabeth R. Agro Curator of American Modern and Contemporary Crafts and Decorative Arts at the Philadelphia Museum of Art will be looking at your work. Blue Line Arts has 8 amazing show a year in our beautiful 2100 sq foot gallery a year, with 1000’s of people visiting. For more information, contact tony@bluelinearts.org. Work submitted for this year’s Topeka Competition must express history in some form, be three-dimensional, and must include an artist statement about the piece’s relationship to the theme. History plays a role in defining our times, our communities, our perspectives, and ourselves. Juried by Renee Stout. Artworks will be judged on originality and technical excellence, connection to the theme, and the artist’s perspective on the theme. $1,000 in cash Juror’s awards; $1,000 in Purchase Awards. The Topeka Competition celebrates national artists working in three-dimensional media. It offers a unique opportunity within a public library setting to view the newest, most innovative work in contemporary art and crafts. Our juror is nationally-recognized Renée Stout who is known for assemblage artworks concerning her personal history and heritage. For more information, contact sbest@tscpl.org.